Capital Theatre on Ice has teams for skaters of all levels, from beginner (Learn to Skate USA) to senior and adults. Ready to Join, but not sure which team is right for you? Read our short descriptions of each team’s requirements. Tryouts for all teams were held on September 22, 2018 at Ashburn Ice House. But it’s not too late! If you are still interested in joining a CTOI team, please email skatingdirector@ctoi.us to set up an audition! Already Tried Out? Complete Your Registration Here. Our skaters are creative, hardworking and dedicated individuals who come together to bring stories to life. Capital Theatre On Ice (CTOI) is a US Figure Skating Theatre On Ice team representing the Washington Figure Skating Club. The CTOI program was started in Summer 2013 at the Ashburn Ice House by Coach Kitty Kelly McGorry. 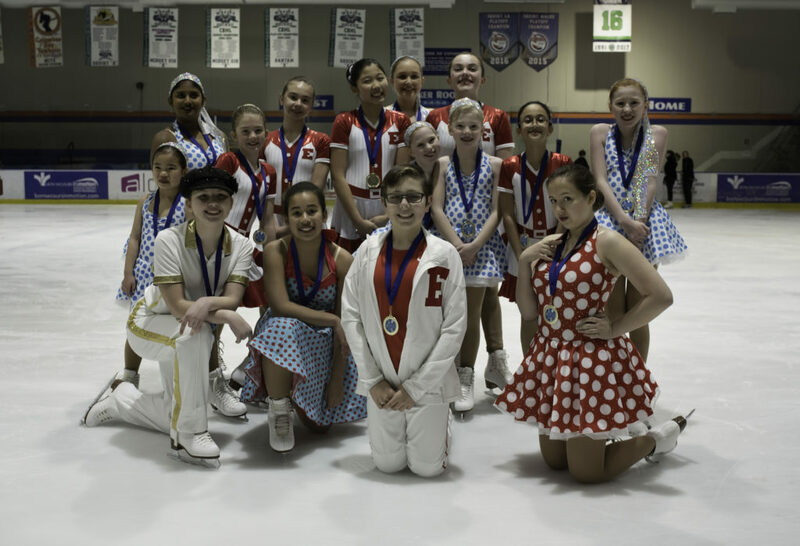 We began with one team of 17 skaters competing at the Junior level in the 2014 National Theatre On Ice Competition. In 2016 we changed our name from Ashburn Theatre on Ice to Capital Theatre on Ice as we expanded our skating family to include a second facility, MedStar Capitals Iceplex. We currently have skaters at the Learn to Skate USA (Beginner), Preliminary, Intermediate, Senior and Adult levels. We also have our CTOI Performance Team: a performance troupe that performs for different events and venues throughout the DC area. In addition to competing at Nationals and in local competitions, we have performed in holiday events and special ice shows around DC area to support organizations such as the American Cancer Society, mental health, and the Children’s Miracle Network Hospitals. Inna started skating at the age of 5. She was a 6-time Belarusian Gold Medalist and a competitor at the European Championships and World Figure Skating Championships. As a professional skater, Inna was a principal skater for Disney on Ice, Ice Theater of England, and other international shows. She attended the Academy of Physical Training and Sports, where she specialized and learned coaching and physical training techniques. Rob began working as an acting coach for Ashburn Ice in 2015. He also coaches Lawyers and other professionals in communication (with an emphasis in presentation and performance). Rob served as faculty at several colleges and universities where he taught acting and movement. In addition to coaching, Rob acts and choreographs professionally in the DC area. 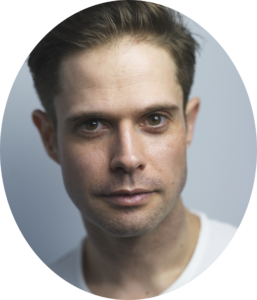 Rob holds a Bachelor of Arts degree in Theater and both a Masters of Letters and Master of Fine Arts degree in Shakespeare and Renaissance Literature in Performance from Mary Baldwin College. Sasha both consults and competes on the Senior team. He brings invaluable Pairs and Choreography experience to CTOI. 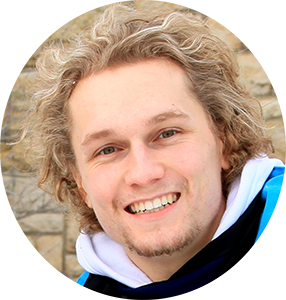 Having trained, studied, performed and competed at the highest level around the globe, Sasha continues his adventures on the ice as a guide and mentor to new athletes.. His accomplishments include being an Olympic Qualifier, World competitor, Top 10 at Europeans, Holiday on Ice Principal skater, Ice Shows Artistic Director, and International Choreographer. He has been coaching since 2006 More details at www.glide-n-jump.com. 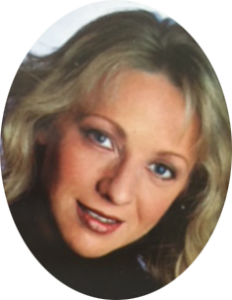 Kitty Kelly McGorry is the Director and Choreographer for Capital Theatre on Ice. As an amateur, she competed Nationally and Internationally for Canada. She is a double gold medalist in figures and freestyle in both Canada and the United States. After turning pro, she performed as a principal in Ice Capades for 7 years, performed in 2 TV Specials and performed with Ice Theater of New York and Icesemble in Chicago. While in Chicago, she got her Theater Degree at Northwestern University, and also studied drama at Yale. Kitty has been coaching competitive skaters for the past 20 years. Her students have competed at the Regional, Sectional, National and Adult National levels. She also coaches synchronized skating for Team Ashburn. Kelly’s skating career began in Ottawa, Canada where she competed through the Junior level. She achieved gold levels in figures, freestyle and dance. Performing in local ice shows and tv productions gave her enjoyment and experience as a performer. 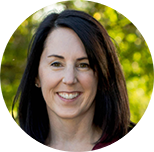 Now coaching for over 25 years, Kelly enjoys working on moves in the field, jump technique in addition to Theatre on Ice. Kelly has been coaching with CTOI for 4 seasons. Dani skated as a Regional and National competitor for singles and pairs. She has been coaching for about 5 years and has been a skater and coach for four seasons with Theater on Ice. 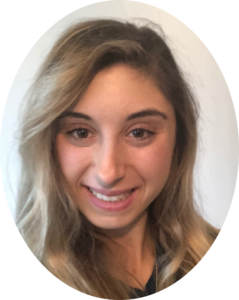 She is currently pursuing a PHD in Physical Therapy at Marymount University. Brittany is the newest coach to join the CTOI family. She is a USFSA double gold medalist and skated competitively for thirteen years. She has been coaching for over ten years. Brittany was an elementary school teacher for five years and holds two Masters degrees in Education and Special Education. 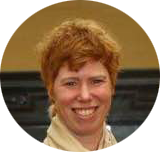 When she is not coaching she works for the National Center for Missing & Exploited Children. 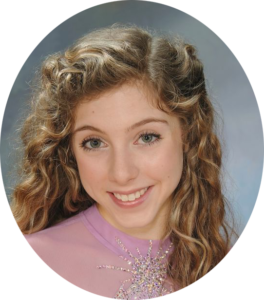 Madison Vinci is a four-time National Competitor, who twice represented the United States in the US Challenge Skate. 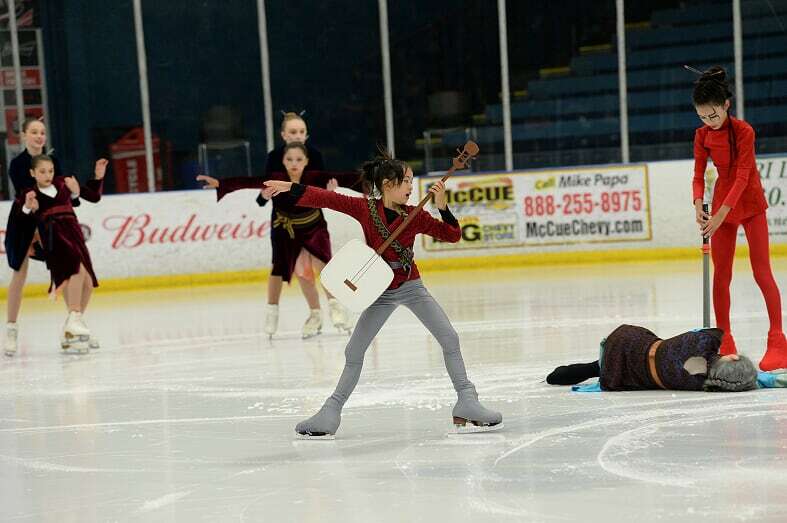 Her dramatic skating style has been utilized in Audrey Weisiger’s Young Artist Showcase. This is her third year skating on CTOI's senior team, and her second year coaching Theatre on Ice. Theatre on ice is a form of competitive figure skating that is popular in Europe, where it is known as ballet on ice. It combines the grace of figure skating with the excitement of theater and dance. Teams consist of between 8 and 24 skaters. They perform two programs: the Choreographic Exercise (CE) program and the Free Skate program. The programs are judged by U.S. Figure Skating judges and are evaluated on technical merit and presentation with emphasis on originality, costuming, artistry and musicality. 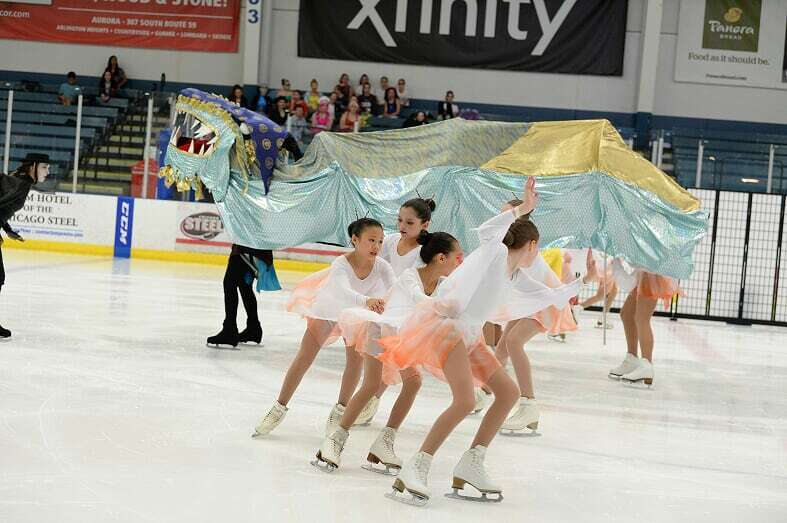 Skaters, both competitive and noncompetitive, can learn and grow on a theatre on ice team. What are Costs like? Is there travel? National teams (Preliminary, Intermediate, Novice and Senior) will travel to two competitions: the Chesapeake Open in Chesapeake, VA in March, 2019 and Theatre on Ice Nationals in Birmingham, AL in June 2019. Preliminary teams are required to be ACE/SkyHigh Class members and will have dues under $190/month. Intermediate and Senior team dues will be under $250/month. 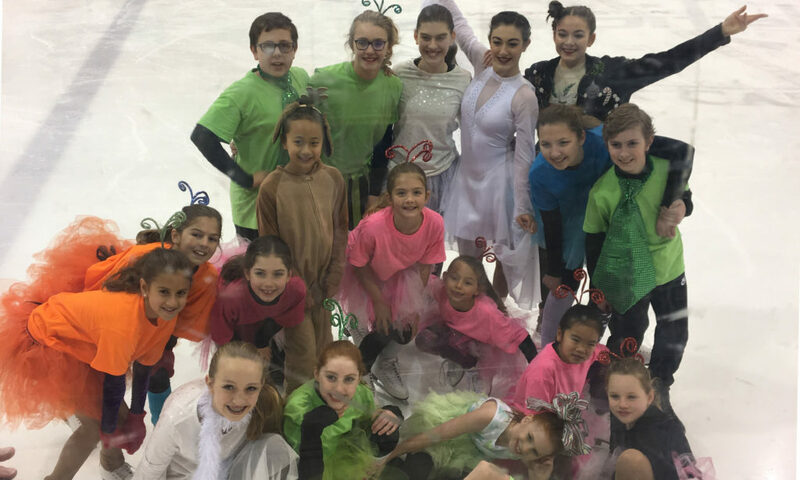 Two open performance teams and an adult team will perform at local rink openings and at the Cardinal Classic in Woodbridge, VA April 6th/7th. Open Performance and Adult teams are required to be ACE/SkyHigh Classes members and will have dues under $100/month. Monthly dues cover coaches’ fees, costumes, event entry fees and ice time. They do not cover individuals’ travel expenses to events. What are the qualifications for each team? NEW: Open Performance: All ages and all levels allowed. No moves in the field tests needed. Senior: 15 years of age and above, up to 4 rostered skaters outside the age range by no more than 3 years. Skaters must have passed their Novice moves. Novice: 8-15 years old allowed, up to 4 rostered skaters outside the age range by no more than 3 years. Skaters must have passed their Juvenile moves. Intermediate: 18 years of age and younger, up to 4 rostered skaters outside the age range by no more than 3 years. Skaters must have passed their Preliminary moves. Preliminary: 12 years of age and younger, up to 4 rostered skaters outside the age range by no more than 3 years. Skaters must have passed their Pre-Preliminary moves. Adult: 18 years of age and above. Skaters must have passed at least one moves in the field or dance test. Teams practice at the Ashburn Ice House in Ashburn, VA and MedStar Capitals Iceplex in Arlington, VA. Practices take place on Saturday and Sunday mornings, with adult practices on Sunday evenings. Skaters are encouraged to practice their routines individually or with teammates during the week. Interested in becoming a sponsor? Contact CathrynM@ctoi.us for information about available sponsorship opportunities.